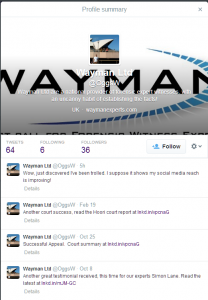 A number of our supporters recently posted news articles about how a company called Wayman Forensic Expert Witnesses specialises in getting dangerous drivers off the hook in court and preventing insurance companies having to pay compensation to the victims. This ‘expert’ opinion has included such excuses as the sun was in the driver’s eyes, or that it’s perfectly fine to overtake dangerously close to cyclists, contrary to the Highway Code. 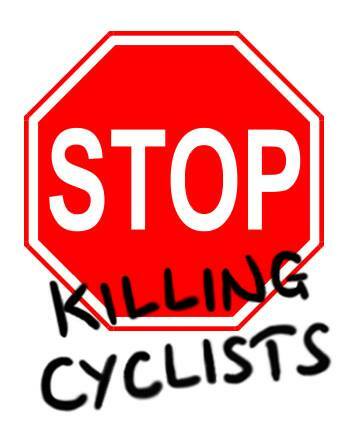 On Friday we launched a polite but forceful internet campaign to stop them boasting on social media sites and elsewhere about how they win cases for their dangerous drivers at the expense of dead and maimed cyclists and pedestrians. 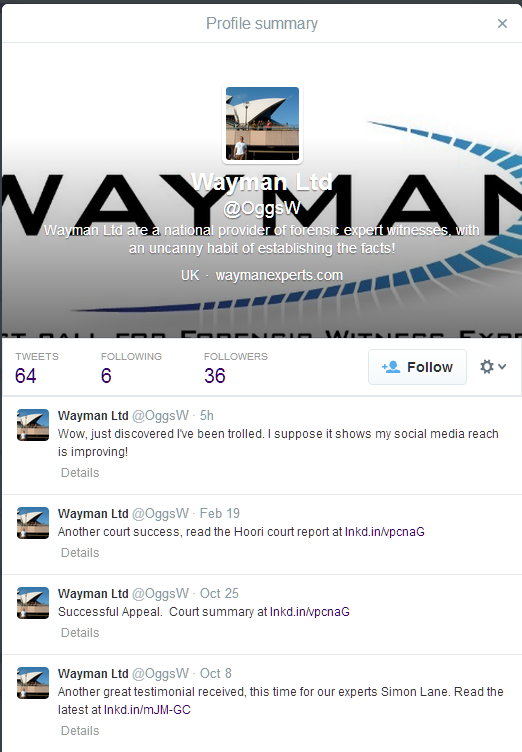 Supporters posted messages of condemnation on social media sites; other than a short-lived tweet about being “trolled”, Wayman did not directly respond to the concerns raised. Within hours they had removed their Facebook and Twitter pages, as well as the long list of cases on their website. Hopefully after this attention, Wayman Experts will review the effect their testimony has on the victims of road violence, and consider using their experience to ensure dangerous drivers are successfully prosecuted, not excused. The problem is not just with one firm though. The court system in the UK is not serving the victims of road collisions or their families; too often dangerous driving is excused by judges and juries. That is why presumed liability is one of our demands to improve road safety. This would place the default responsibility on the vehicle driver when there is a vehicle/pedestrian or vehicle/bicycle collision, as implemented in most European countries.